Among the metals available, tungsten carbide has the highest melting point. It is dense and extremely hard, which makes it ideal for various industrial applications. It is harder than other metals such as steel and titanium. This extreme strength is attributed to the combination of tungsten and carbon before it is transformed into tungsten carbide that has an outstanding level of hardness. The appearance of tungsten carbide is similar to steel; it is resistant to scratches and is often combined with different materials such as carbon fiber and precious metals such as gold. These combinations can be used to create a unique look. Tungsten is a material that offers a good option for a wide variety of jewelry, ranging from engagement rings to wedding bands. Tungsten continues to be one of the popular materials that are used to make bridal jewelry because of is well-known scratch resistance and hardness. A tungsten ring will not bend and the polish look is maintained without the ring becoming dull over time. Tungsten carbide is a worthwhile alternative for rings because it does not need to be polished regularly and its original polished finish is long-lasting. Couples can look forward to celebrating anniversaries with their wedding rings still looking brand new. The strength of tungsten carbide is exemplary in comparison to the relative softness of silver and gold. It is unlikely to cause allergic reactions that are associated with some conventional metals. If you have sensitive skin or allergies, tungsten is a good choice because it is hypoallergenic. There are different types of tungsten to choose from, including the popular polished finish, brushed finish, matted finish, flat, dome shaped, laser engraved and black tungsten. Before you purchase men’s tungsten carbide rings, make sure that you know your accurate ring size. Since tungsten does not bend, it is virtually impossible to have it re-sized. Ring size measuring tools are available for people to get accurate measurements of their ring sizes. If the ring size changes, some jewelers may be willing to facilitate an exchange for you but it is always important to ensure that you pick a comfortable size for your band. Tungsten wedding rings are in high demand because of the benefits that they provide when compared to rings made from other materials like gold and platinum. The inability of tungsten rings to bend means that they will retain their solid shape for the entire lifetime of the ring. 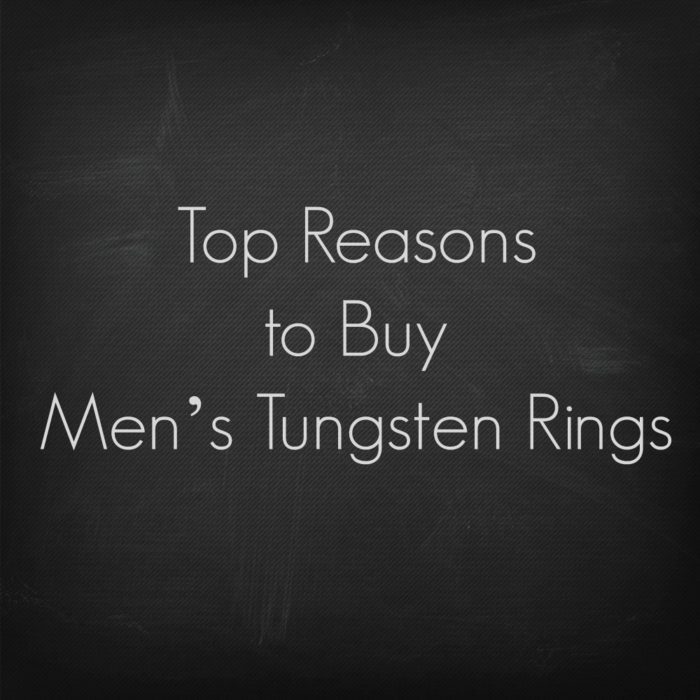 Tungsten rings are not scratched easily and this makes it possible for the ring to maintain a polished appearance. The density of tungsten causes it to be heavier than many other metals and its polish and shone are incomparable. People who have allergies can rest assured that the hypoallergenic nature of tungsten will allow them to enjoy their jewelry without worrying about adverse reactions. In tungsten carbide’s hardest form it can never be vulnerable to damage. Anniversary after anniversary, you can expect your ring to look as new as it did when you first bought it. Bio: Lisa Warner has been a freelance writer for more than 5 years. During her career she has had the opportunity to cover numerous topics and enlighten her readers.